Successfully Added Bluetooth Cassette Adaptor to your Shopping Cart. 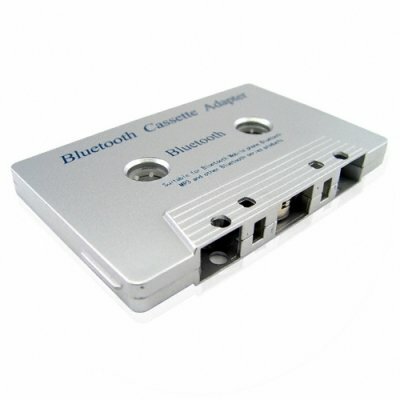 Bluetooth Cassette Adapter - With this handy Bluetooth receiver you'll be able to make and receive calls in the car with the built in headset profile. Quick and simple pairing with mobile phones over a stable bluetooth connection for seamless audio. A quick and easy way to make old technology new, order one today from Chinavasion. Can transmit music from a PDA. And of course is a handsfree. I was misunderstood how this products works. I thought that I can use my MP3 Bluetooth player and transmits my music to my car stereo but it is only for making and receiving calls.